The innovation in Vivo NEX in the form of a pop-up selfie camera seems to be adopted by other brands. No half-hearted, Samsung is rumored to be adopting a selfie pop-up camera in the next Galaxy A series smartphone. Who is he? Is the rumored Samsung Galaxy A90 will appear carrying a selfie pop-up camera. Along with that the design concept of this device has also appeared on the internet. The design of the selfie pop-up camera is indeed quite helpful to increase the height of the screen ratio to the body of a smartphone. For the Galaxy A90, it will be interesting to see whether the screen-to-body ratio will be higher than the Galaxy S10 which is said to appear with a hollow screen, called Infinity-O. Based on custom images presented, there are at least two designs of the Galaxy A90 with a selfie pop-up camera. The first design shows the position of the camera on the left, while the other figure is a pop-up camera sensor right in the middle of the smartphone. Besides the selfie pop-up camera, the interesting thing that also sticks out from this imagery is the fingerprint sensor on the screen which will also be a feature on the Galaxy A90. This might be in line with the growing rumors which stated that the fingerprint sensor on the screen is a feature of the three Galaxy A smartphones that will be released this year. 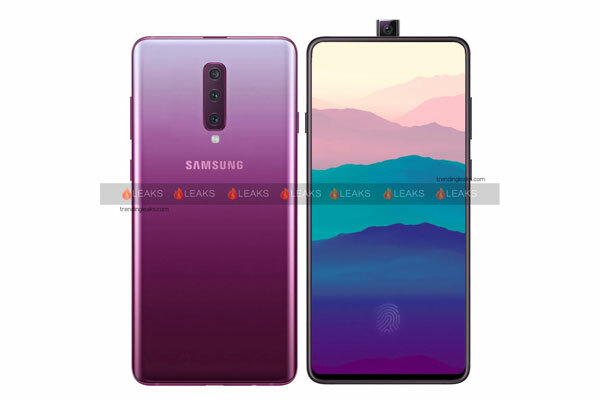 So, it's no wonder if the designer of this design concept includes it in the imaginary image of the Galaxy A90. For certainty, we just wait until the smartphone is officially released by the manufacturer. 0 Response to "Imitate Vivo NEX, Samsung Galaxy A90 Will Adopt Selfie Pop-up Camera"